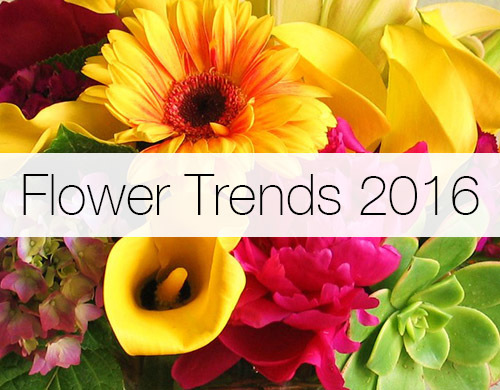 Whether you are applying these trends daily at your shop or researching, it’s important to stay ahead of the flower industry. Which trends appeal to you? Luxurious is an airy garden style with texture, beautiful shapes and patterns. A romantic whimsical look and feel with garden elements. 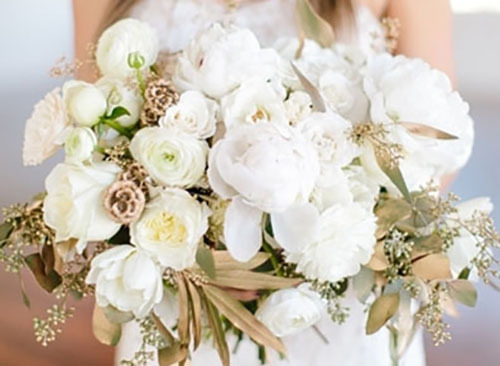 This trend is popular with this season’s weddings. 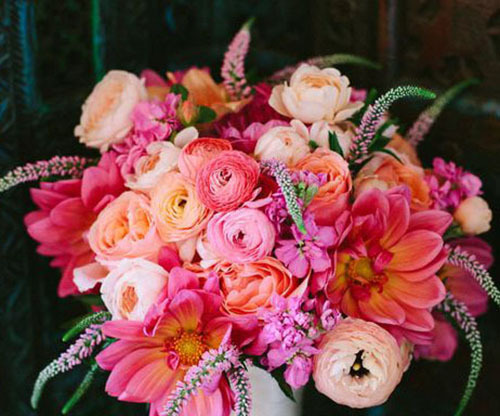 Colors: Citrus and berry colors like reds, pinks, oranges, salmon, and coral are a focal point in these arrangements. Orange is set to be the prominent color. Accent Colors: Vibrant greens, violets, white, and gold help accent the arrangement. Urban Bright is a new urban dynamic with bright colors that has a bohemian 1960-70’s retro look. Great for modern spaces to add a pop of color. These arrangements tend to have a organic look with loosely gathered groupings. Accents Colors: Oranges, yellow, and greens help finish this trend off. 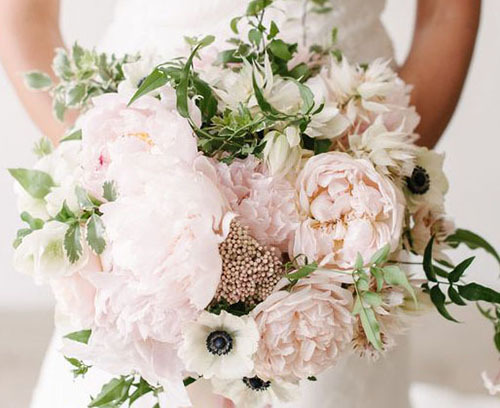 A new take on your traditional elegant flowers. A rich combination of metallic sheen and sparkle for the modern customer. Arrangements are elegant, formal, and with metal textures. Color: Solid Whites and Ivory are the main focal point of this trend. Accent Colors: Black, Silver, Copper, Gold, Bronze, Brass, & Rose Gold. Vintage soft is influenced by soft pastel hues, prints, patterns, and textures. This trend maintains the mono-chromatic look with soft hues for a complementary addition to any atmosphere. Colors: These pastel colors are muted, washed out and almost neutral. Blush pink, aqua, mint green, frost white, and shell gray create that soft look. Accent Colors: Lavenders, yellows, soft greens, platinum and pewter bring this soft vintage look together. A new take on modern flowers. This trend includes flowers, produce, and nature elements with rich textures. 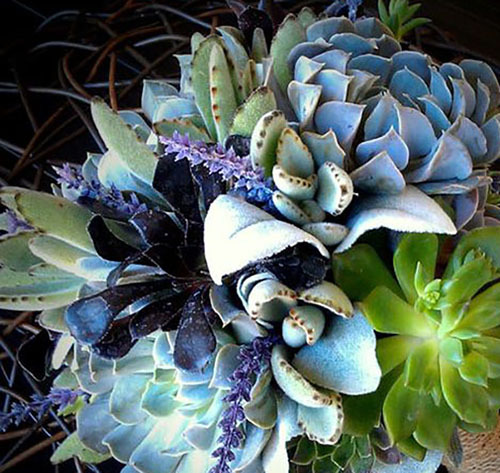 Colors: This trend brings tints, tones, and shades of blue for the body of this arrangement. Accent colors: Warm hues of yellow, green, beige and white with a touch of iron, bronze and gold bring this modern texture to life. 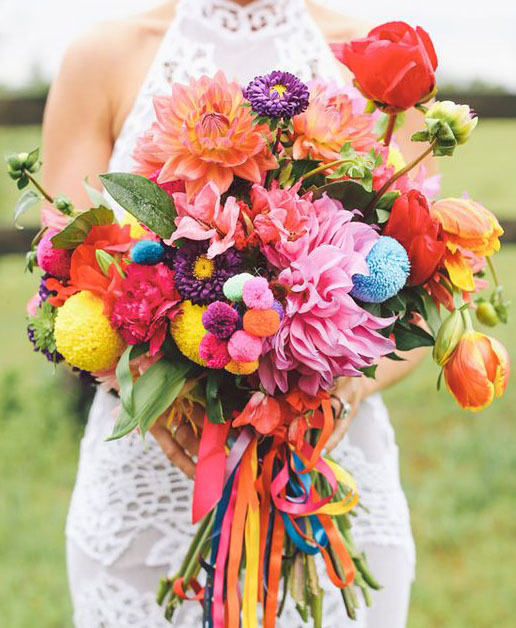 What is your favorite 2016 Flower Trend – share your favorite with us! My favourite is Bohemiam. Great description love it!